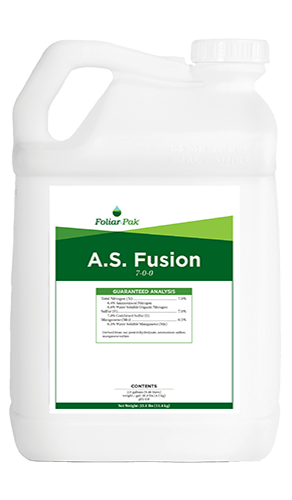 Foliar-Pak® A.S. Fusion improves overall plant performance and increases uptake of tank mix products. It is a perfect nitrogen source for spoon feeding programs. 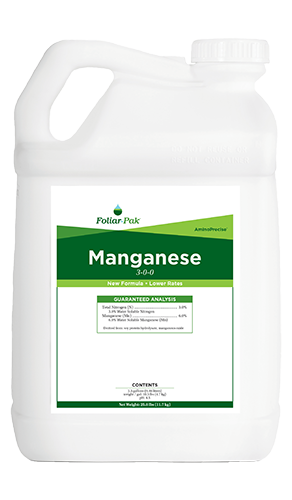 Liquid ammonium sulfate with a new, focused amino acid package for increased nitrogen fixation, chlorophyll production, and energy production. L-amino acids increase nutrient absorption and maximize plant nutrition through the use of low dose applications. L-amino acids work in various pathways to increase nutrient uptake and transport. 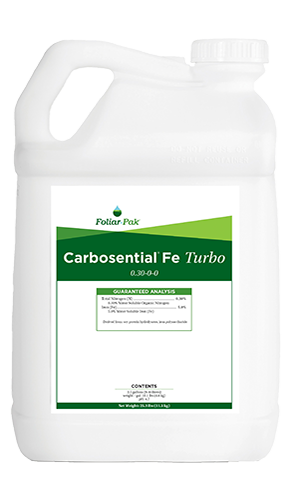 Formulated with ammonium sulfate for better plant response during cooler temperatures. Ammonium sulfate and amino nitrogen are more easily assimilated by the plant, leaving more energy for root growth. 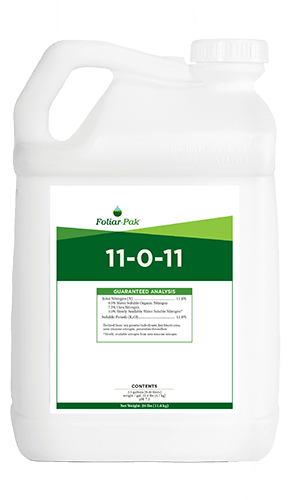 Foliar-Pak A.S. Fusion provides rapid green color and is compatible with other fertilizers and control products. Ammonium sulfate is the preferred N source for turf on high pH soils.